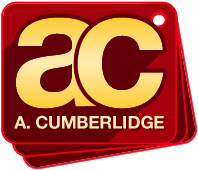 Specialising in commercial flooring and tiling contracts since 1947, the team here at A Cumberlidge has a vast amount of experience across many different industry sectors. We work alongside building contractors, estates and facilities managers for private and public sector organisations to deliver projects of the very highest quality irrespective of budget, size, requirements and timescale. Our unrivalled floor and wall specification, design and installation knowledge ensures a high level of repeat business with customers returning to us for new projects and recommending our services to their industry peers.